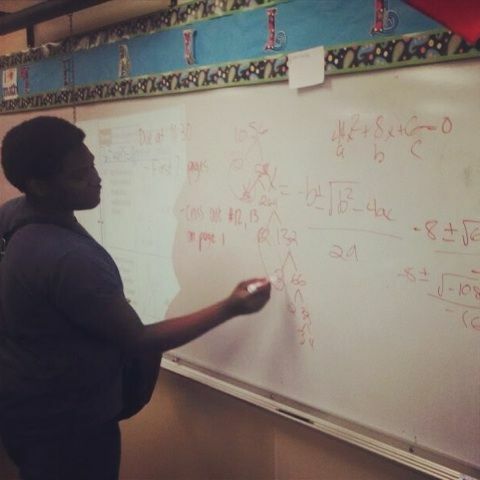 At the end of a long week in school, when most kids (and adults) are tired, we find this young man teaching about 10 other students how to use the quadratic equation. The student even used his best "teacher nerd voice" when explaining his steps for an added sense of comedy. What makes this even better is that this is a geometry class and the quadratic equation is not part of what they're currently studying. So here you have a good amount of kids actively participating in a student led exploration and explanation. Kudos to math teacher Mr. Kajari for giving students the autonomy to do such things.